If you are one of the 700 residents who vote using an absentee ballot in the Lone Rock School District, this spring’s election has been a bit unusual. All of those absentee ballot recipients received three different envelopes for three different elections to be held on May 5. “It’s very confusing this year,” said Ravalli County Clerk and Recorder Regina Plettenberg. In the Lone Rock area, voters will cast ballots in three separate districts in elections administered by an equal number of administrators. The Lone Rock School Elementary District is running its own election for this year’s cadre of trustee candidates. 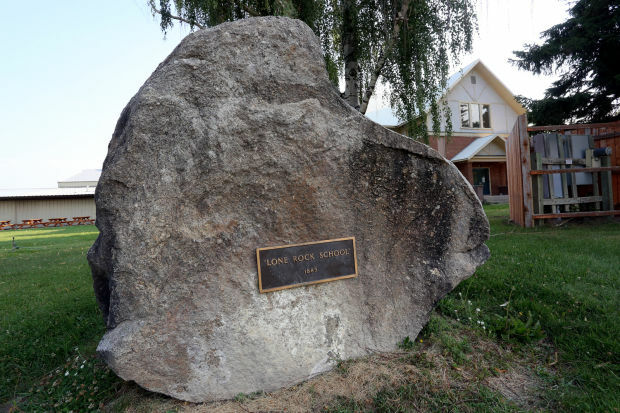 Since the Lone Rock area is part of the Stevensville High School District, voters will cast ballots in a separate election for school trustees there. And finally, the Lone Rock Volunteer Fire District trustee election is being run through Plettenberg’s office. This isn’t a huge problem, but it does point out how elections for special local districts like school and fire authorities can create challenges for voters and administrators. It also highlights the need for clear instructions and well-designed materials so voters don’t inadvertently disenfranchise themselves by returning an otherwise valid ballot in the wrong envelope or to the wrong official. If nothing else, those Lone Rock voters will have an opportunity to legally embrace the old slogan “vote early, vote often”! 3 Comments on "Paper Smothers (Lone) Rock? Absentee Voters Get Multiple Ballots in Local Montana Election"